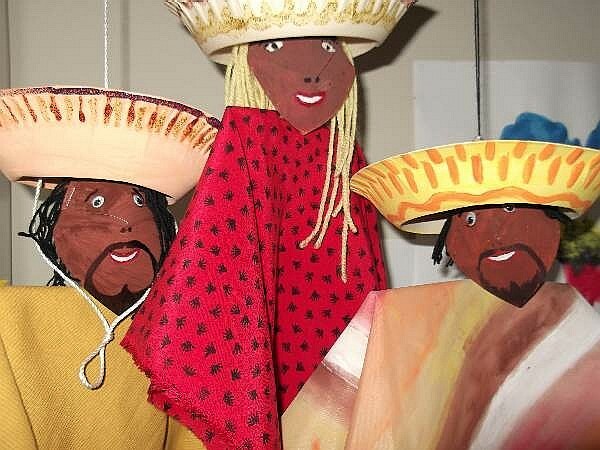 Have you ever heard of or seen paper plate puppets? 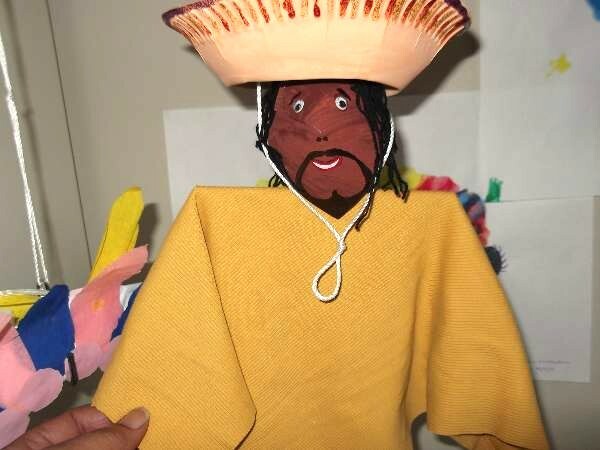 They are rare, but at Kool Kids Crafts we have created our own, original Mexican dancing puppets. Don`t they just look ready to perform? 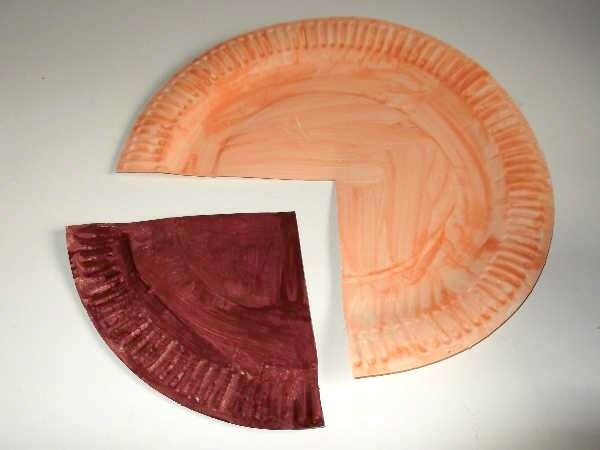 Mark your plate and cut out a 1/4 section. This will be the head. Paint it brown on both sides. The children have more fun painting the paper plate puppets but if you are pushed for time, buy colored paper plates in a variety of shades. 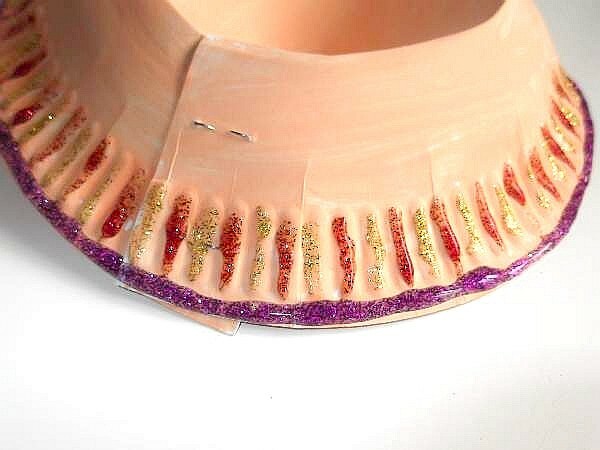 Paint the larger section a bright color on both side. This is the sombrero. 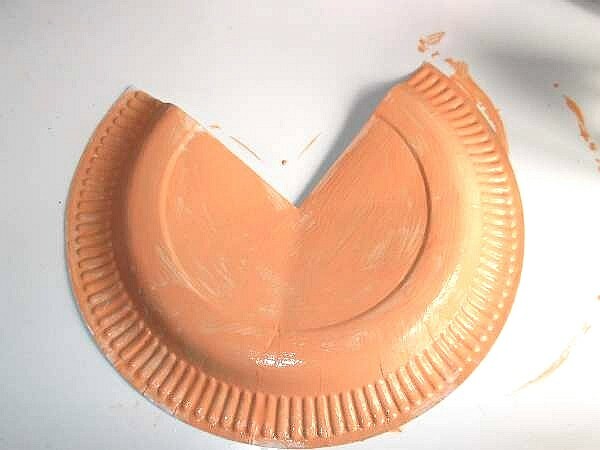 Once it has dried, overlap the sides to form the hat and staple in place. You can use the ridges around the edge as a guide for regular patterns. I used glitter glue. 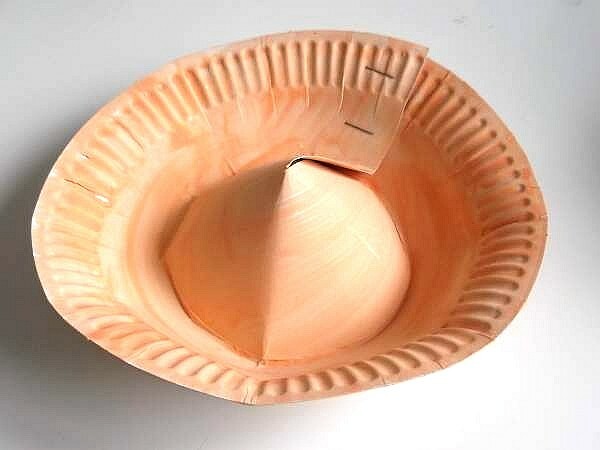 Cut inward from the center of the ribbed edge to the dip in the plate. Again overlap the two marked corners and staple in place. 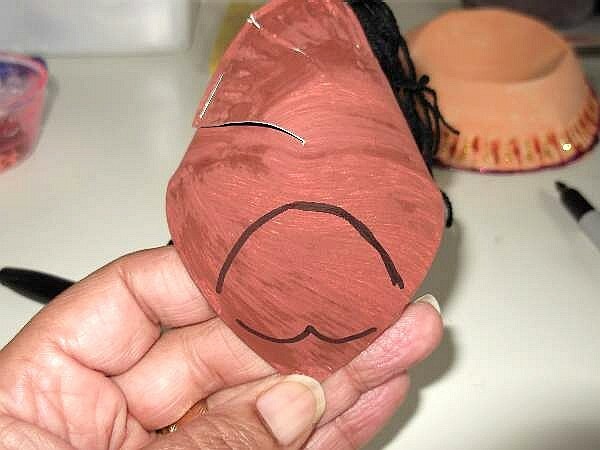 This forms the shape of the nose and head. cut up some lengths of wool, turn the head around and staple to each side of the ribbed edge. The puppet now has a head of hair. Now fold the two corners to the back, overlapping them, and staple in place. Using a black felt-tip pen, draw the beard and mustach. Cut a out a small smiling mouth from white paper and glue under the mustach. 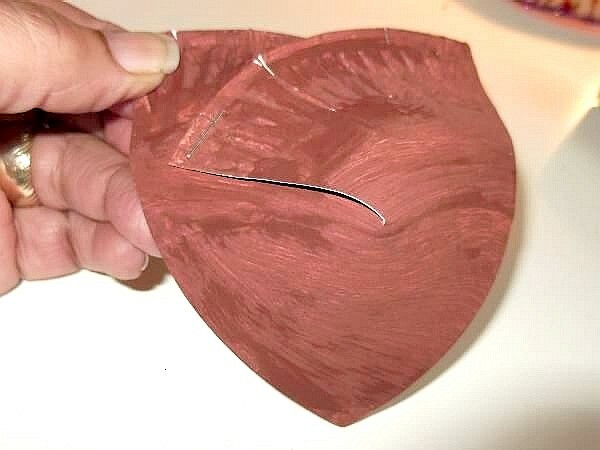 Now use a red felt-tip pen to draw around the edge to make lips. Glue googly eyes in place, but if you don`t have them, cut small white paper circles and draw in the pupils. 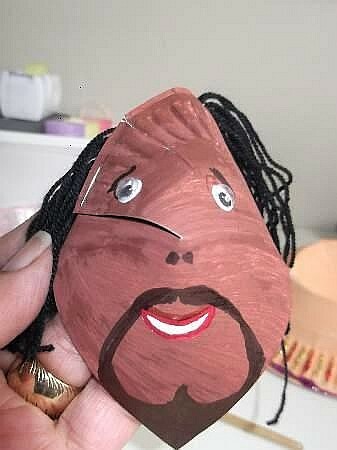 Make some eyebrows and nostrils too. Now your puppet is looking the part. To make the body, take your wooden skewer and cut a piece long enough to form shoulders. 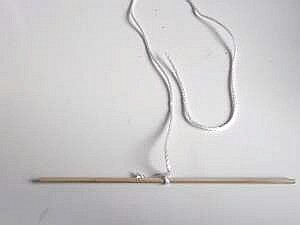 Tie the string to the middle. 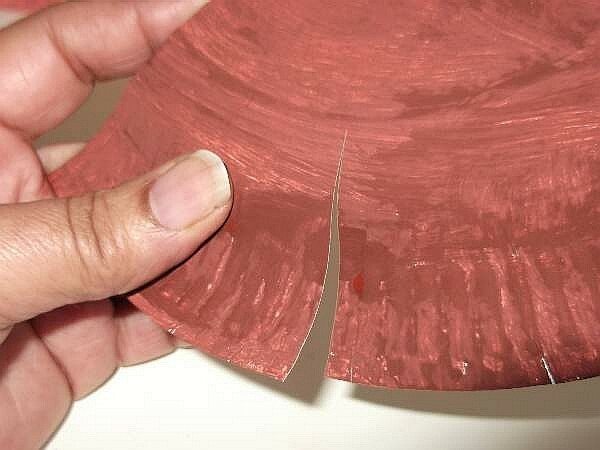 You can add some glue to secure it. 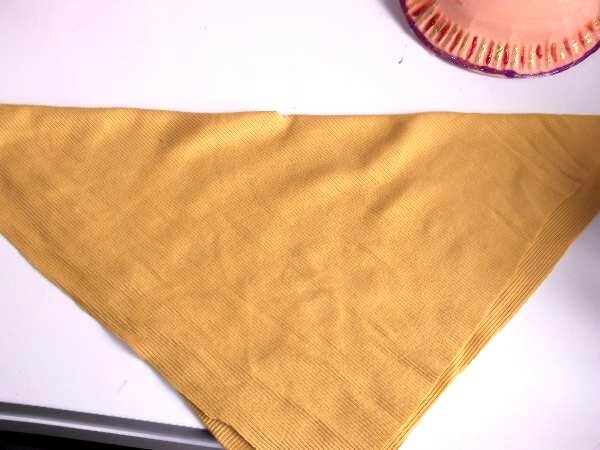 Fold the fabric square diagonally and snip a hole in the center of the fold. 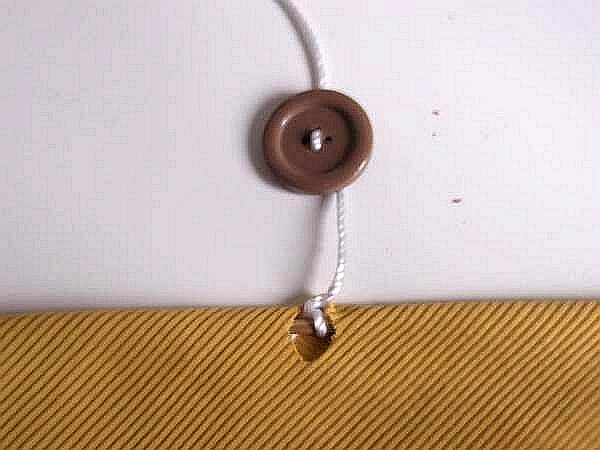 Thread your string through the hole and through the holes of a button. Keep it about an inch above the skewer. This will stop the head dropping too low. 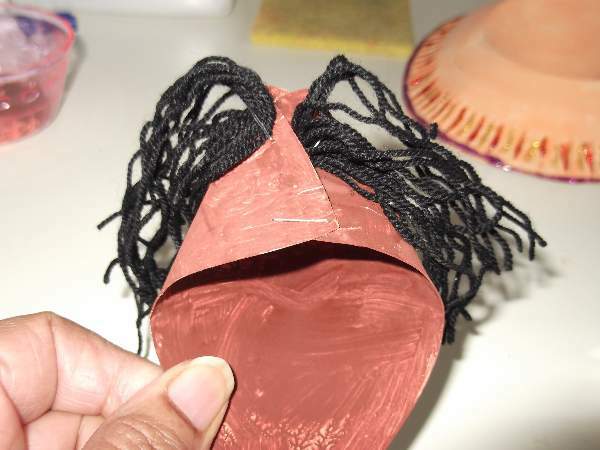 Now thread the string through the hole in the top of the head. Your dancing Mexican is nearly finished. 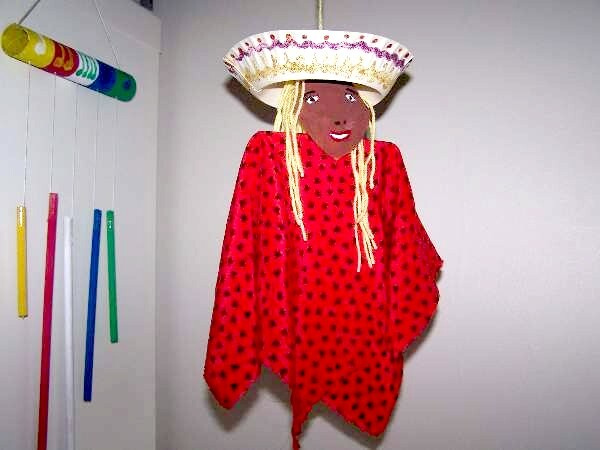 You don`t want the sombrero to drop over the eyes of your paper plate puppets so tie a piece of tissue paper, or kitchen paper about 1 inch above the head and thread the string through the hole in the top of the hat. Push it down until the paper is inside the peak. Make a loop at the end of your string to hang the puppet. 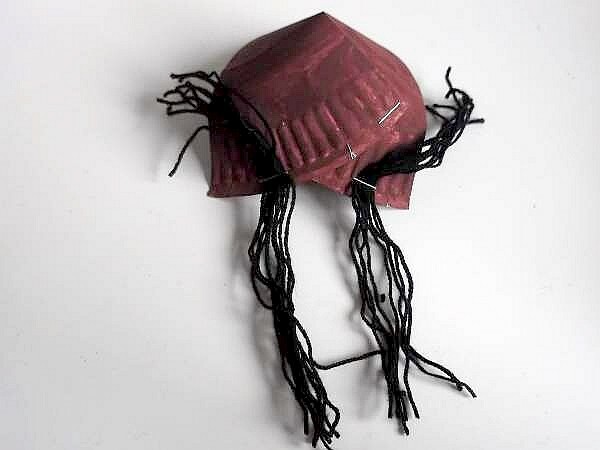 To make the string for the sombrero cut a length and tie a loop in the middle then glue or tape each end inside the hat. The dancing Mexican lady also looks nice. 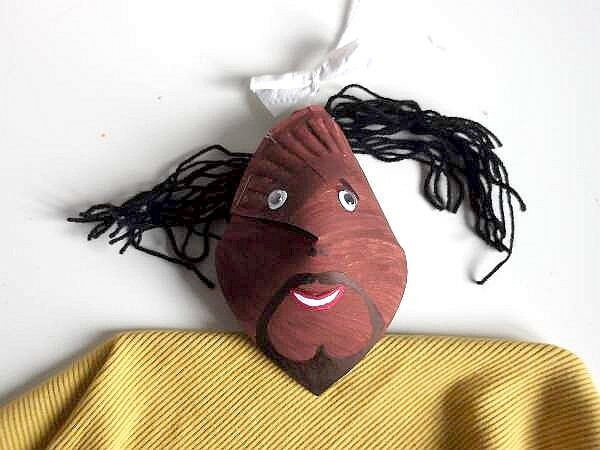 Have fun making different characters for your paper plate puppets, hang them all up, and put on a dancing show! 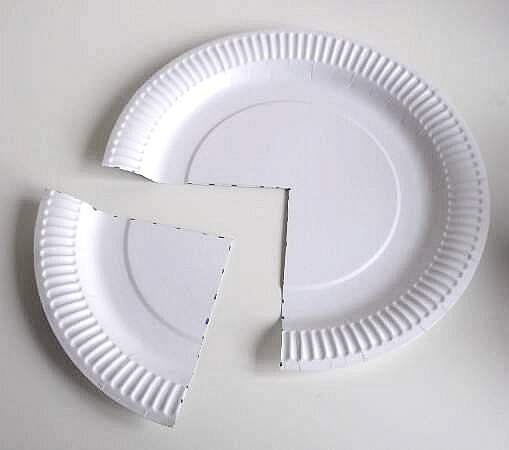 You can do lots of different crafts with paper plates.